So how did this change the climate of hip hop? Gangsta rap assimilated and first exposed in the west created infatuation for a regions “way of life.” The idea of southern pimps, “swanging” slabs and gold-mouthed rhyme speakers gave the under-developed hip hop culture something new to analyze. However, as southern rap expanded to the big screen (Menace II Society, Office Space, etc) and became acknowledged as “hip hop” conflict arose. 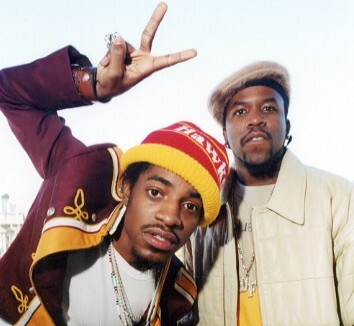 Outkast appeared on the 1995 Hip Hop Source Awards they were immediately welcomed by boos from the crowd of peers. Before hip hop strongly emerged in the south, the path to success was blazed by artists, such as: Ray Charles, Chuck Berry, and others. The general notion seemed to be you can’t make it from the south in the south. But southern rap pioneers such as, UGK, Geto Boys, Goodie Mob and DJ Screwed changed the persona and challenged the status quo. The south re-designed the “big business” of hip hop by exploding on the scene gaining support from their region, selling tapes out of their trunks and supporting other up and coming rappers in their community. Great post. Good stuff. I think you might like my blog, Rhymes and Reasons. It is a series of interviews with hip-hop heads who discuss their lives in the context of a few songs that matter to them. One of the interviews discusses Outkast’s “Rosa Parks”. Check it out. Outkast’s music featured in Rhymes and Reasons interview with Jasson Perez. Check it out. Everything you have said is true about the hip hop game but why is it that when you come across a hot ieedpnnednt artist, you want to charge them to be on your mixtapes? What happened to all of the love and support for the starving artist? It would seem that you would gain more by exposing that next big thing and possibly even make history if you really had that keen authentic hip hop ear im just saying, its time to take it Back To The Grungy . Log on to engrmusic.com and take a listen for yourself, i challenge you to put your ears to the test, if you like what you hear, lets do some business, if you dont like what you hear, feel to expose your true and honest feelings on this blog. …#Uprising…The 20th Anniversary of a Sociopolitical Outcry. Crazy heading. Keep writing.